Beautiful living room styled with elegant home decor for the Fall season. The large furniture accents are snugged closer together. The chair is placed on a slant. Now that we’re in the heart of the Fall season intimacy is the name of the game. With the weather getting cold. The nights getting chiller, you’re longing for warmth and comfort. 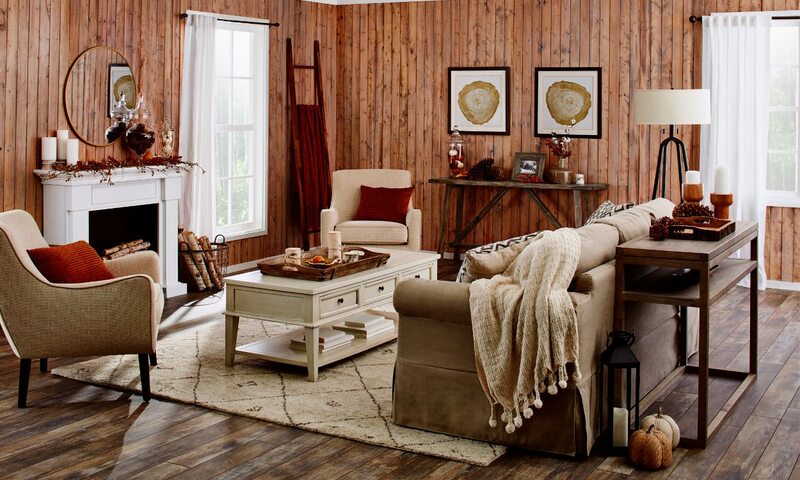 How you style your home during the Fall season can help contribute to your comfort. You’d be surprised how various luxury home accents and accessories can make your home warmer of colder. During the Fall season you want to focus on being cozy. You want your home to be styled with intimacy and snugness. Although you may desire to achieve this look for the Fall, you may not know where to begin. You may say to yourself “where do I start?” It’s actually rather simple and easy. Here are 8 simple, elegant home decor tips for creating a cozy Fall design. One of the most popular and simple ways to create a more cozy atmosphere is to focus on your furniture. Simply pulling your furniture closer together is an easy, great way to make your home more snug and cozy during the Fall. When you want your home to appear more spacious you spread your furniture apart. Naturally, if you want to do the opposite you pull your furniture closer. This won’t necessarily make your home appear smaller. However, it’ll make your home appear more intimate, cozy and warm. The best room to achieve this look is the living room. If you’re going for an elegant living room design in the Fall this tip is pure magic. The larger the furniture accents are that you pull closer together, the better. This applies to your sofa, love seat, rocking chair, swivel chair, living room table, corner table, etc. 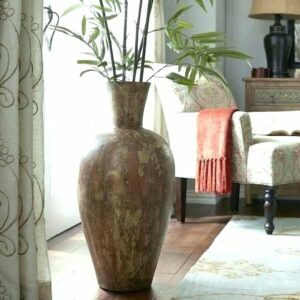 Another elegant home decor tip to give your home character along with coziness is to place furniture on a slant. When pulling your larger furniture accents close place them on a slant. This will give your layout character, creativity and an unique design. 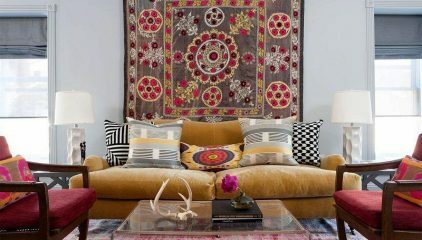 A simple yet gorgeous way to style your sofa with layered elegant home decor accessories. 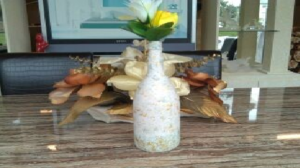 Gorgeous floor vase, the perfect large elegant home decor accent to add to your living room for a cozy Fall design. Decorating with darker colors is a beautiful way to add coziness and comfort to your home. 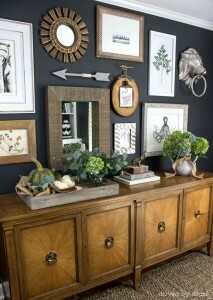 Dark tones create a sense of closeness and amenity in your home. 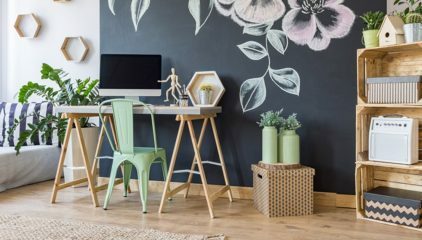 If you have a room that’s large in size and you want to add a welcoming, loving vibe to it, style it with medium to dark colors. Tones such as black, brown, royal blue and violet purple are gorgeous examples of colors that will bring comfort into your home. What elegant home decor accents you decide to decorate with using these colors are completely up to you. A gorgeous, Fall themed table accent styled to bring intimacy and comfort to your home. This elegant home decor vase can also be used as a large centerpiece. A quick, simple elegant home decor tip that will make your interiors appear more cozy are large table accents. During the Fall season interior tables are very important for designing your home. How you style your tables play a pivotal part in the finishing touch of your Fall theme. To create warmth and snugness in your home for the Fall add large, contemporary accents to your tables. This will make your table appear more active. This will make whatever room your table is in appear more important, intimate and lovely. The great thing about decorating tables are the many varieties of tables available. You can add luxury home accents to a coffee, dinner, dining room or corner table. The large home accents you decide to style with can vary from a centerpiece vase, to a large glass bowl, to a long candy tray, etc. Layering accents and decorations for the home is an exquisite, stylish way to add comfort. Not only are you adding comfort, you’re adding style, character and charm. With layers you’re giving your home an intimate, cozy design while still remaining stylish. The best way to exercise this elegant living room idea is decorating shelves. 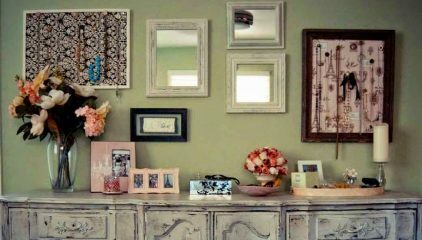 Any shelf or shelf like area in your home is great for layering. The more bare your shelves are the less intimate and snug your home appears. Some popular elegant home decor shelves that can be layered are: the fireplace, mantel, china closet and storage bin. What you want to layer these shelf area with can vary. 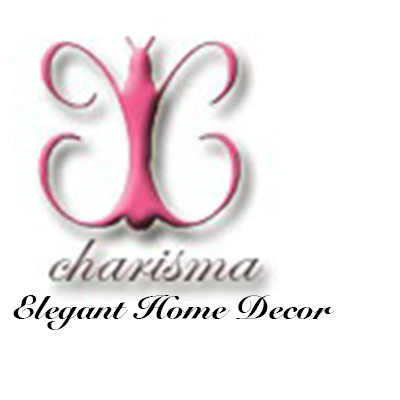 Decorative home decor accessories that can be layered on your shelf areas are books, magazines, runners, candle sets, picture frames and many more. The great thing about this design tip is it’ll work for large or elegant small living room ideas. Adding wall accessories to your home is one of the most common ways to create intimacy, charm and comfort. 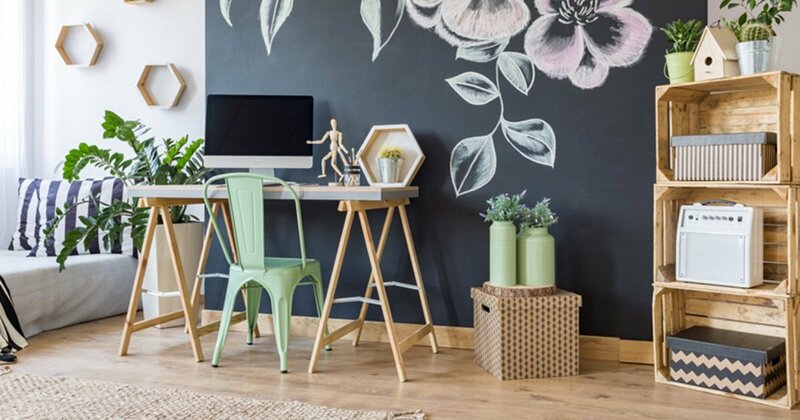 The more wall decor you style with, the better. Bare walls makes your home appear boring, abandoned and lifeless. This is not a good look for any season. During the Fall it’s really a “no-no.” Remember during the chillier seasons you want your home to be warm and welcoming. A simple yet glamorous way to accomplish this is to polish your walls. The great thing about decorating your wall are the countless ideas. You can go with wall picture frames, wall decals, large painting, certificates placed in fancy frames, wall paintings and more. Whatever wall art style you decide to go with, the more the better. A stunning, unique way to lavish your residence with wall decor for cozy Fall decorating. These easy, fun elegant home decor ideas are guaranteed to give your residence a cozy Fall design. They’re fast and simple yet amazing. 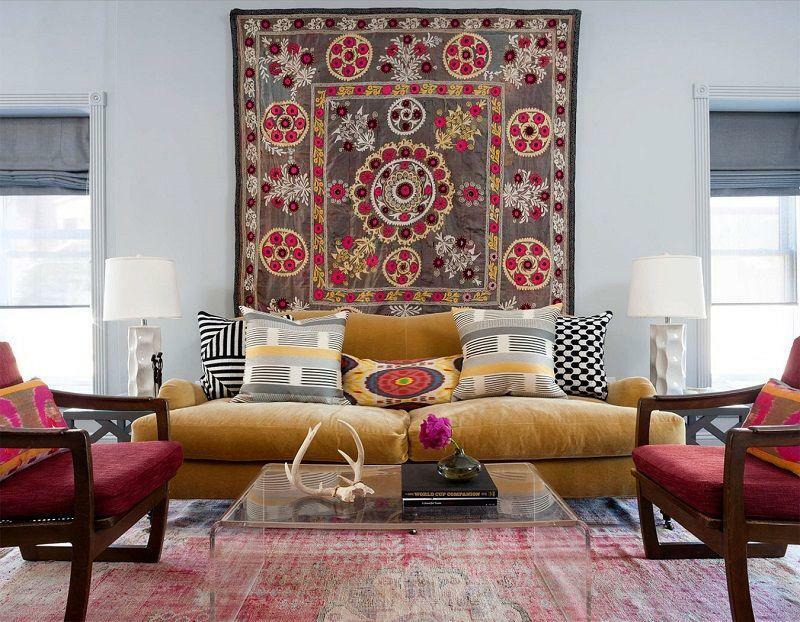 Apply these design tips and witness more intimacy, comfort and virtue enter your home at once.